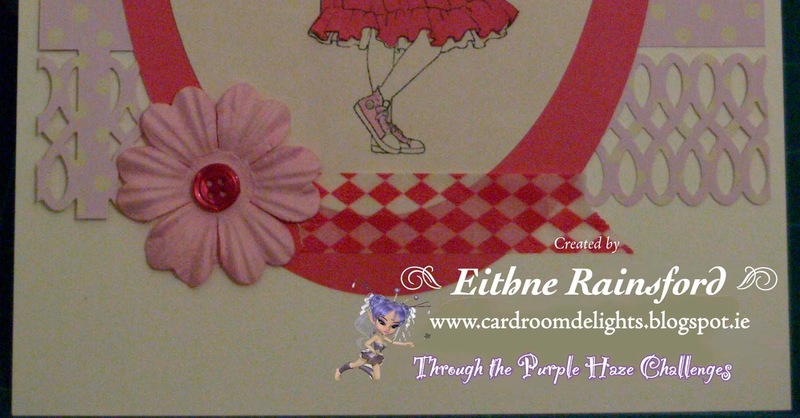 This week over at Through the Purple Haze Challenges, our challenge is 'Anything Goes' and we are kindly sponsored by CRAFTY SENTIMENTS. Pop over and have a look at all the beautiful crafty goodies :) They are offering 3 digis to the winner. I got this beautiful digi to play with 'Sally having fun' and I made this card. I decided for this digi, to paper piece some of the digi. I printed her onto cream paper and pink paper, and then carefully cut out the parts I wanted, in this instance her dress and ribbons in her hair. I cut out the cream sheet in an oval with my X-Cut nested ovals dies (first time to use them! ), and then used the larger die to cut it out with the same pink sheet, as per her dress and ribbon. I coloured with some pencils her hair, bag and runners. I used some beautiful polka dotted paper for the background, and used a Martha Stewart punch for the bottom. I added some washi tape, and a flower and a button. 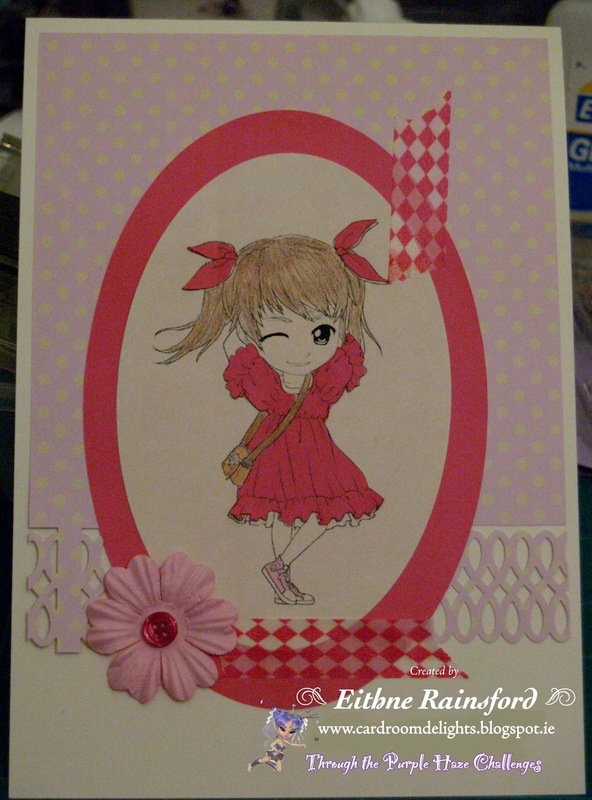 This time I put no sentiment on, but could easily add one for any girly occasion! 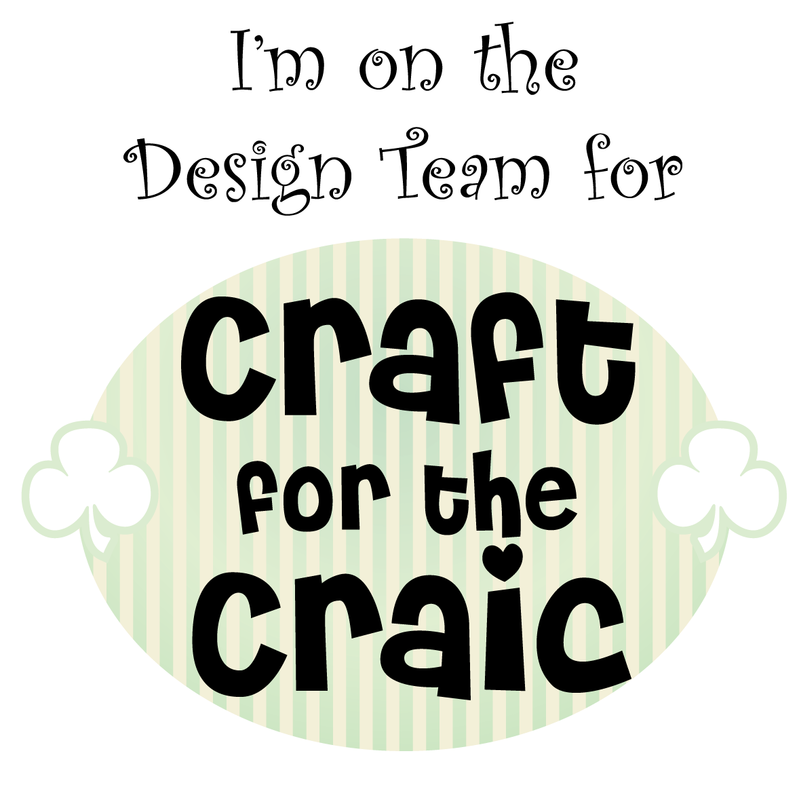 I would like to take this opportunity to welcome all our new members on the DT, we have 5 new DT teamies joining us this year, check out their talented creations on their blogs. Hope you enjoyed looking at my card, and thanks for dropping by. Why not head over and take part in the challenge? I hope to enter this card in a few challenges. What a sweet card Eithne....love it. 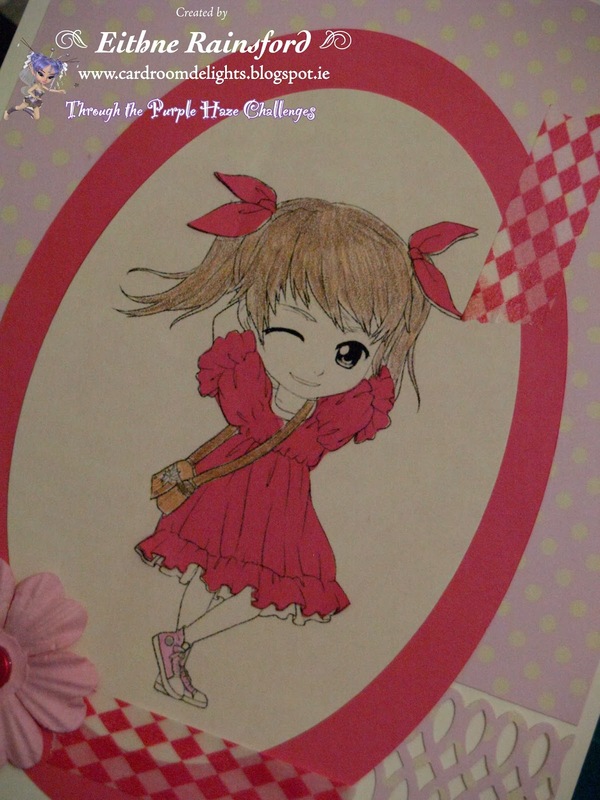 Great card.. Love your coloring.. I love how you have worked this card, great paper piecing. Very pretty! Thanks for playing at Crafting From the Heart. We hope to see you next time. Good luck. Stopping by again. Thanks for playing at Hobby Cutz too!